Virat Kohli recently led India to unprecedented Test and One-day International (ODI) bilateral series win in Australia, followed by a biggest-ever victory in an ODI series in New Zealand. The Indian captain led the team from the front on both the occasions as he accumulated 282 runs in four Tests and 153 runs in three ODIs in Australia and 148 runs in three ODIs of the five-match series in New Zealand. Following Virat Kohli’s remarkable batting show, Sri Lanka’s legend Kumar Sangakkara claimed that the 30-year-old Indian is well ahead of his contemporaries and destined for greatness. Virat Kohli led India from the front in Australia and New Zealand. “And I think going forward, he will be one of the greatest ever cricketers, if not the greatest ever,” he added. Run-machine Kohli capped a memorable 2018 by becoming the first to win the International Cricket Council’s (ICC) cricketer, Test and ODI player of the year awards last month. With 39 centuries from 222 one-day matches, Kohli is second only to compatriot Sachin Tendulkar, who scored 49 from 463, in the 50-over century makers’ list. “It’s not just about the ability Virat has but to understand the way to handle pressure not just on the field but also off the field and the expectations,” said the former Sri Lanka captain. 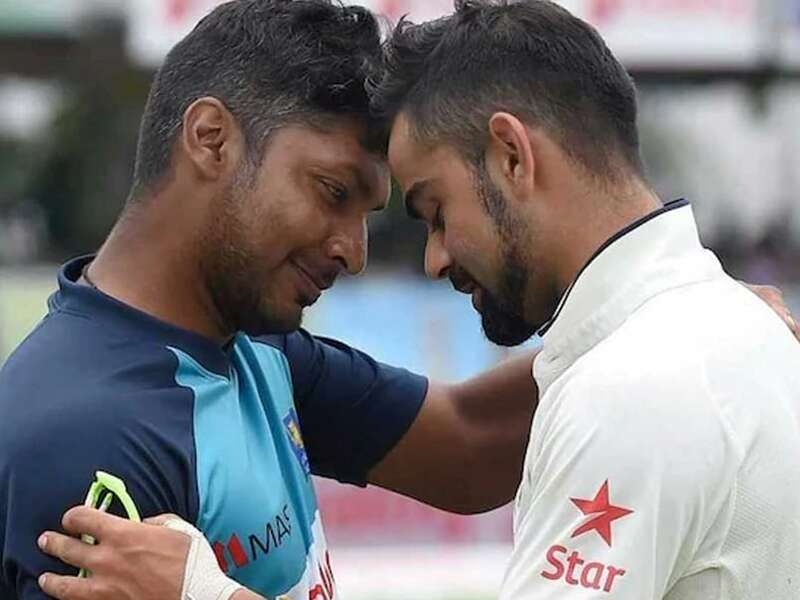 Virat & Sangakara. Sanga’ as he is known to his team-mates, is one of cricket’s most endearing personalities both on and off the field and Sri Lankan Cricket would be pleased to have nurtured him into one of the best cricketers of the nation. As a batsman, Sangakkara is a connoisseur’s delight. He is a good player of both fast and spin bowling and is known to revel in arduous situations. Sanga has amazing levels of concentration and is known to score big once he reaches a hundred. With the experience of playing under several captains during his career, he has displayed great maturity while leading his side and is known to back youngsters to the hilt. His multilingual abilities also make him a hit in the diverse Sri Lankan dressing room. for the further details visit the website www.coolviratkohli.com.